Does It Matter Whom You Insure Your Car With? As a motorist, you are probably aware that there are dozens of insurance companies that provide car insurance. So, does itreally matter which insurer you choose to insure your vehicle with? The answer is a most definite “Yes” but what are some of the reasons why this is the case? Well, cost is a major factor. If you are not already aware then you need to know that not all insurance companies charge the same premium for providing cover. In fact, most will charge a different amount to insure your car. Insurers, when underwriting a policy and deciding how much to charge, will take into account various factors including the make and model of car, the number of miles you drive a year, your age and driving experience, the level of cover, where you live and where you park your car overnight and what you use the car for. They will also quite possibly look at their own claims data when deciding how much to charge. This data may vary to that of a different insurance company. 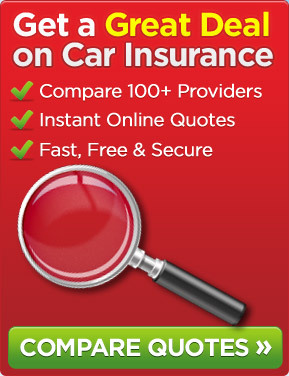 A great place to source a competitively priced car insurance policy is a price comparison website that has a huge number of insurers on its panel. Do bear in mind that not all insurance companies use the services of a price comparison website so you might want to get quotes from them. Another factor that possibly not many people take into account when deciding who to insure their car with is how insurance companies deal with claims and what percentage of claims received are actually paid out. After all, what is the point of choosing a company that provides cover for a low premium but there claims history is poor. Surely, you need to be with a company that will pay out quickly at what is a difficult time. So, if you are looking for a competitively priced motor insurance quotation, why not get in touch with us today as we have an extensive panel of insurance companies whom we can obtain quotes from. Some people may prefer to choose an insurance company to insure their vehicle with that is a household name rather than one that they have not heard of before. In many cases, this is understandable but before reaching a final decision you may want to do some research in to the company. It may, for instance, be connected to a nationally known company. This entry was posted in News and tagged Car Insurance Premiums. Bookmark the permalink.